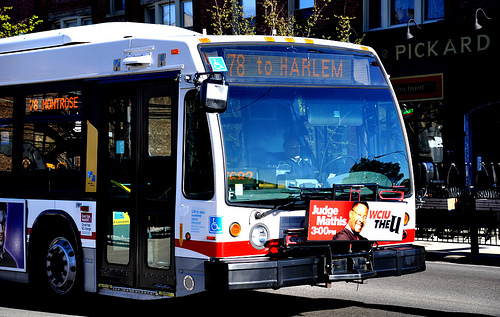 But can we please agree that if you, an able-bodied youngish person, choose to sit in the first ten or so seats on a CTA bus, then you do so with the understanding that the entire time, you are obliged look up at each stop to ensure you&apos;re not taking a seat away from an elderly, disabled or pregnant person? I think that is a reasonable price to pay for taking one of those seats: a small, constant stream of paranoia (at least, until your bus goes express and you are safe for a few minutes). Texting, reading, talking to your friend or pretending to sleep are not ways out of this small but literal guilt trip.